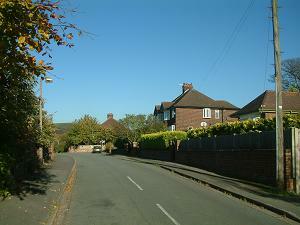 Running close to the Macclesfield Canal but several metres above it, Highfield road has older (1930s?) brick houses and a bungalow on the south east side and a couple of large 1980s houses, plus two more under construction in 2017, on the north west side. The high set position ensures good views to the north west. Leads to Birchway and Fairfield Avenue. Steep access off Hurst Lane right next to the Macclesfield Canal bridge.